HomeCopyrightFair useCRC12 / CRC13How soon will the government approve copyright reform? How soon will the government approve copyright reform? A recent discussion in the Seanad suggests that a copyright reform Bill will be brought to government very soon. The discussion focussed on the need for efficient enforcement of IP rights in Irish courts, but it was placed in the broader context of copyright reform in general, and the Minister for Jobs, Enterprise and Innovation promised to bring a full package of copyright reform proposals to Government “before the summer recess”. That is due at the end of this week, which means that the copyright reform Bill would have to have been considered by the Government at today’s meeting. But there is nothing on the websites of the Department of the Taoiseach or the Department of Jobs, Enterprise and Innovation to suggest that it was discussed or approved today. Nevertheless, the discussion in the Seanad is suggestive that we will see the government’s reform proposals very soon. Copyright reform is yet another step closer. I greatly look forward to its arrival. The need for the Minister for Jobs, Enterprise and Innovation to inform the House when she proposes to implement the recommendation of the Copyright Review Committee in its report Modernising Copyright, published in October 2013, concerning the extension of the small claims procedure in the District Court to include intellectual property claims up to the value of €15,000, as provided for within the draft Statutory Instrument prepared by the Committee. Senator Ivana Bacik: I welcome the Minister to the House. I congratulate her on her appointment, about which I was delighted. I wish her the best with it and I look forward to working with her in this House in her new role. This question concerns a matter which I know has been the subject of ongoing communications with the Minister’s predecessor and with herself. It is the need for her to inform the House when she proposes to implement the recommendation of the Copyright Review Committee in its report Modernising Copyright, published in October 2013, concerning the extension of the small claims procedure in the District Court to include intellectual property claims up to the value of €15,000 as provided for in the draft statutory instrument prepared by the committee. This matter concerns the ability to enforce intellectual property rights before the courts in Ireland and, in particular, the ability for companies to represent themselves before the courts in lower value intellectual property claims. As stated, this matter has been the subject of correspondence with the Minister’s predecessor, Deputy Bruton, as well as the Minister for Justice and Equality, Deputy Fitzgerald. I know colleagues, including Senator Kevin Humphreys, then a Deputy, as well as Deputies Simon Harris and Eoghan Murphy, corresponded with the Minister, Deputy Bruton, last year in respect of the matter. I have seen a response dated 1 June this year from the Minister’s private secretary on the matter. While she recognises there is a wider issue concerning access to justice which falls within the policy responsibility of the Department of Justice and Equality, she states that nonetheless this also impacts on the area of intellectual property for which she has policy responsibility. I was delighted to see in the correspondence from her private secretary to this particular individual, who has raised the matter with me also, that officials from her Department are actively examining options to improve access to justice. This raises a number of different issues and the individual who has brought the matter to my attention as well as the current and former Ministers’ attention has a meritorious point. He points out that the Government encourages the creative industries to produce in Ireland and offers many incentives to boost the number of jobs in the economy but still has not implemented a clear recommendation from the Copyright Review Committee of 2013 concerning the need to improve access to a mechanism for enforcing intellectual property claims. The October 2013 report of the Copyright Review Committee, Modernising Copyright, makes a clear reference to the reforms in England which established the special jurisdiction of patents county courts, now renamed the intellectual property enterprise courts. In Britain, these procedures have been streamlined to save parties time and money. The report went on to recommend that the small claims procedure in the District Court be extended to include intellectual property claims up to the value of the standard limit of the District Court jurisdiction. The committee proposed certain amendments to existing legislation as well as a draft statutory instrument to bring such claims within the remit of the small claims procedure. The recommendation seems a sensible one which would improve on the current difficulties with access to the courts in respect of this sort of claim. In terms of our obligations under EU law, it also appears that the current regime whereby companies must be legally represented must be complemented by some mechanism to improve access to the courts, particularly in respect of small intellectual property claims. The sort of reform proposed by the Copyright Review Committee offers us a way forward. It is a solution that would offer easier access and an easier method of resolution to companies and individuals with intellectual property claims. It would also enable us better to ensure compliance with EU law. I look forward to the Minister’s response. Minister for Jobs, Enterprise and Innovation (Deputy Mary Mitchell O’Connor): I thank Senator Bacik for her warm welcome. I am delighted to see her, as an elected Senator, here too. I am also delighted to see Senator Victor Boyhan, my constituency colleague from Dún Laoghaire. Senator Bacik has raised an important matter. An independent Copyright Review Committee was established in May 2011 with the objective of examining copyright in the Irish context. This included considering the need to review and modernise existing legislation. The committee held a consultation to help gauge stakeholder opinion and this led to a series of recommendations by the committee. The committee then held a second consultation on those ideas. Its report entitled Modernising Copyright was published in October 2013 and contains in excess of 60 recommendations. >My Department has conducted extensive analysis of the committee’s recommendations. This includes an assessment of the complex legal issues involved. Advice was obtained from the Office of the Attorney General, and relevant Departments were consulted to develop proposals. One recommendation relates to improved access to justice before the courts, a point raised by the Senator. This included extending the small claims procedure to intellectual property claims. The small claims procedure operates in the District Court and currently excludes intellectual property claims. My officials examined this recommendation with the Department of justice, which has policy responsibility for the Courts Service. Meanwhile, I have policy responsibility for intellectual property issues. We looked at enforcement of lower value intellectual property claims and together we examined the potential for improvements in this area. The issue of access to justice is important and I am anxious that rights holders can enforce their intellectual property rights. We conducted an analysis of the recommendations in the report. This included any constraints imposed by EU law and involved considering potential impacts on all Irish stakeholders. It also involved considering costs and benefits for Government. My Department is currently finalising legislative proposals for Government consideration and I expect to bring these proposals to Government before the summer recess. Meanwhile, the EU Commission has continued its work on copyright. A number of consultations have been undertaken by the Commission which are used to gauge stakeholder views on copyright modernisation. Copyright is a priority also in the digital single market strategy. We have already agreed a proposal on portability of content which allows EU consumers to access subscription services while travelling. We expect the Commission to make further proposals in September. 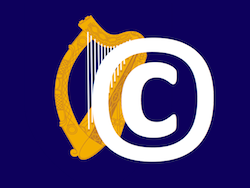 Ireland supports greater harmonisation of copyright at EU level. Proposals creating opportunities for education and research are particularly welcomed. We support access to copyrighted material for people with disabilities. Overall, we want to ensure balanced solutions for all stakeholders. I look forward to the Senator’s support for my Bill. Senator Ivana Bacik: I welcome the Minister’s full response to my question and thank her for it. I am particularly grateful to her for stating her own anxiety that rights holders will be able to enforce their intellectual property rights. As I have indicated, the current legal position amounts to a serious obstacle to the enforcement of intellectual property rights, particularly for small companies and independent individuals. This is the difficulty the copyright review committee has so clearly addressed in its recommendation. I am also grateful to the Minister for her statement that the Department is finalising legislative proposals for Government consideration based on the 2013 report and that she expects to bring the proposals to Government before the summer recess. I will be happy to support those proposals if they address the issue I have raised. By way of follow-up, will the Minister state at this point whether the proposals will include implementation of the recommendation that I have focused on, namely, the reform of the small claims procedure to cover intellectual property claims? Will the Minister state whether that particular recommendation will be addressed in the proposed legislation? I welcome the announcement that we will, hopefully, see this legislation, at least in draft form, before the summer recess. I would be grateful for a response on that specific point. Deputy Mary Mitchell O’Connor: I am bringing the memo to Government before the summer recess. 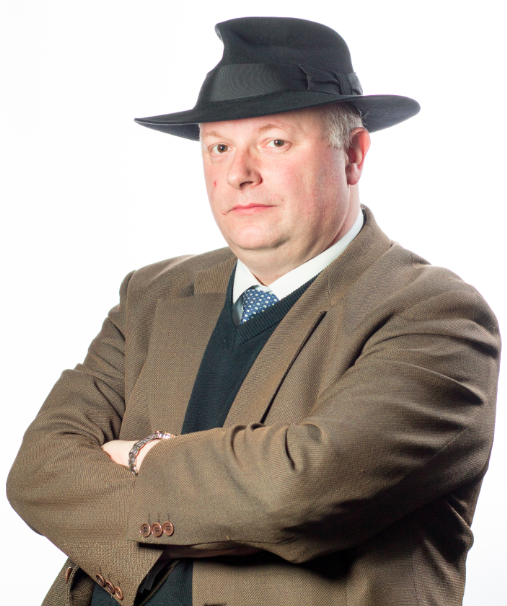 I do not want to pre-empt the discussion that will take place in Cabinet. This will be the Government’s opportunity to consider the committee’s recommendations. I have heard the Senator loud and clear today. The memo will seek approval for legislative proposals to modernise copyright. Senator Ivana Bacik: I thank the Minister. So, there we have it. The Minister has committed to a very short timescale. She has probably not met her promise of bringing a memorandum containing a copyright reform Bill “to Government before the summer recess”, but I think we can expect it in the very near future. As I said above, copyright reform is yet another step closer. I greatly look forward to its arrival. How long should the copyright term be? Have you bought a haunted house? Who you gonna call?